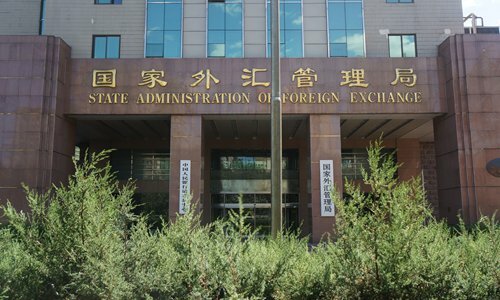 The State Administration of Foreign Exchange (SAFE) has issued detailed rules on how foreign workers can engage in cross-border income and expenditure transactions, capital transfers, and foreign exchange settlements if they take part in a stock incentive program in a company listed on the Chinese mainland. A Chinese analyst said SAFE's move is a further implementation of the policy since the China Securities Regulatory Commission (CSRC) loosened regulations on foreign employees' involvement in the stock incentive mechanism in mainland-listed companies. "With these convenient measures SAFE just launched, it is expected that more foreign talent would come to China," said Dong Dengxin, director of the Financial Securities Institute at Wuhan University of Science and Technology. The SAFE statement said that domestic listed companies and their foreign employees can directly handle these transactions after obtaining a business registration certificate for the participation of equity incentives in China. Foreign workers of domestic listed companies could tap the funds needed for equity incentives either from their legitimate income in China or inward remittances. The new rules could potentially make transferring capital in and out of China easier. "China has one of the most stringent controls among countries that monitor cross-border capital flows," a foreign worker told the Global Times on condition of anonymity on Tuesday. "Moving money in and out can be a lot of pain." Dong said the mechanism will be attractive to foreign employees of Chinese companies, especially senior executives, since China's emerging capital market is quite appealing to them, as well as foreign investors. The CSRC expanded the scale of foreigners eligible for stock incentive program from those working in the mainland to all foreign employees in August 2018. Dong said the detailed rules issued by SAFE would also encourage foreigners to participate in the construction of China's capital market. "From offering national treatment to foreign companies, to offering national treatment to foreign staff in China, the country is steadily realizing its promise of a further opening-up," Dong said.